You can count on Instand® to save you money on trade show expenses associated with traditional trade show booths such as: drayage and set-up. 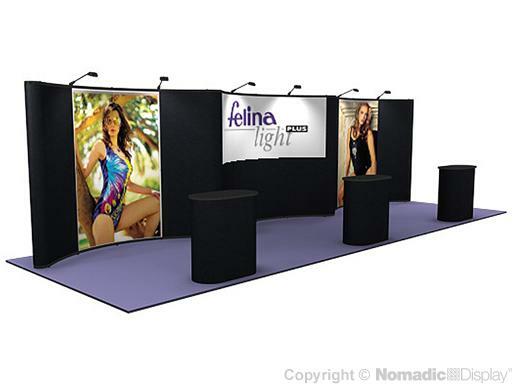 This 10' display offers high impact trade show booth graphics and external trade show shelving with a display counter to greet visitors. 5 - Rolluxe Case - 41.75" x 16" x 16"